The Fast & Furious spinoff film has finally found its director. Deadpool 2 filmmaker David Leitch has signed on to direct the upcoming spinoff, which sees Dwayne "The Rock" Johnson and Jason Statham reprise their respective characters Luke Hobbs and Deckard Shaw. Leitch will direct from a script penned by Fast & Furious screenwriter Chris Morgan, who has written every franchise installment since 2006's The Fast and the Furious: Tokyo Drift. 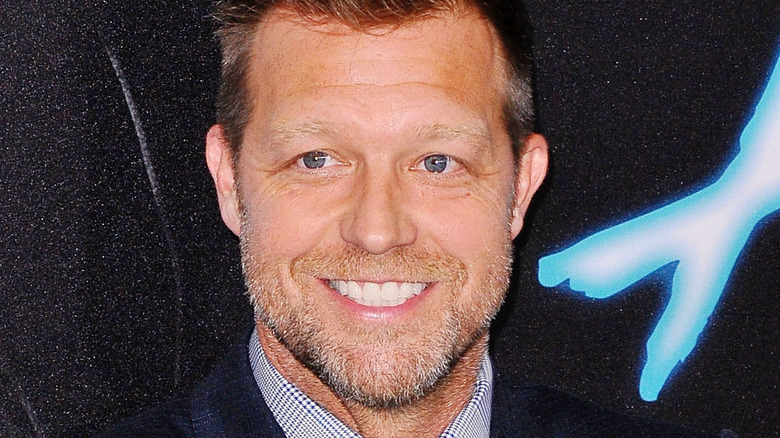 The official Fast & Furious Twitter account made the announcement on Thursday, sharing a text photo with the caption, "Please welcome David Leitch as the director of the Fast & Furious Hobbs and Shaw spinoff." Sources note that Leitch, who also helmed the Charlize Theron-starring action flick Atomic Blonde and co-directed the original John Wick with Chad Stahelski, was up for consideration to take the director's chair for quite some time. Leitch's reputation for crafting stunt-heavy sequences and visceral action scenes makes him a natural fit to take on the Fast & Furious spinoff, and the fact that he served as a stunt double and stunt coordinator before stepping behind the camera as a director makes the match all the more perfect. Plot details for the Fast & Furious Hobbs and Shaw spinoff film are pretty much nonexistent at the time of writing, though we suspect that Johson's Hobbs, the ex-Diplomatic Security Service agent, and Statham's murderous anti-hero Shaw will likely continue the unique friendship they struck up in The Fate of the Furious. Though the film has yet to receive an official title, the current talk fluttering through the grapevine is that it may be called, unsurprisingly, Hobbs and Shaw. Though it's exciting to hear that Leitch will take the reins for the spinoff, the buzz around the movie hasn't always been positive. In the past, fellow franchise star Tyrese Gibson, who portrays Roman Pearce, publicly begged Johnson to not commit to the spinoff and even blamed him for delaying the planned ninth Fast & Furious movie because he was signed on to the project. "If you move forward with that Hobbs movie, you will have purposely ignored the heart-to-heart moment we had in my sprinter," Gibson wrote to Johnson in a now-deleted comment on social media. "I don't wanna hear from you until you remember what we talked about. I'm on your timeline 'cause you're not responding to my text messages. Fast family is just that: a family. We don't fly solo." Gibson followed that up with an even harsher message posted to his Instagram page: "Congratulations to The Rock and your brother-in-law a.k.a. 7 bucks producing partner [Hiram Garcia] for making the Fast and the Furious franchise about YOU. And like you, DJ, even if they call, I will not be deleting this post. [Goodnight], folks. See you in 2020. Fast family, right? Nah. It's about Team Dwayne." With any luck, the Fast family can squash the beef between them before the Fast & Furious spinoff races into theaters on July 26, 2019.